Douglas College students struggling to make ends meet are able to utilize a valuable resource through the College’s student union. 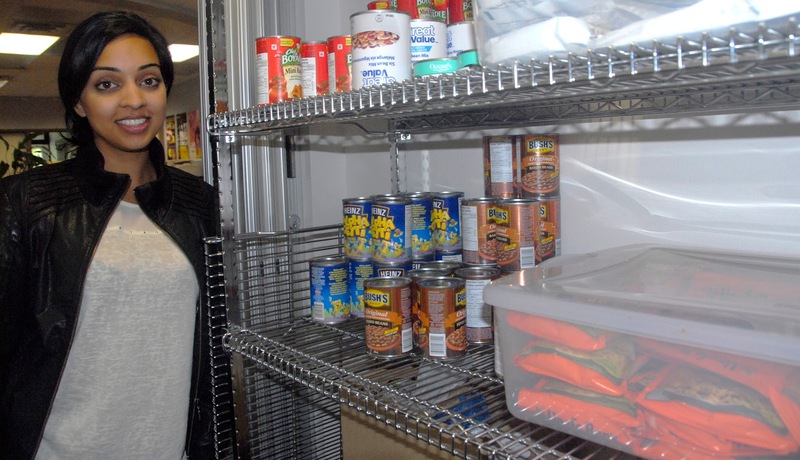 The Douglas College food bank serves students at both campuses and was established to help students with tight budgets, explains Douglas College Students’ Union Co-ordinator Deepa Singh. “The high cost of tuition and housing can leave very little for food,” she said. According to Singh, approximately 100 students use the food bank per month. “We’ve seen an increase in numbers,” Singh said, noting that more awareness of the food bank may be a factor. All that is required in order to access the food bank is valid Douglas College identification. The food banks are located at both campuses at the DSU. At the New Westminster campus, the food bank is located near the main office of the DSU building. For Coquitlam students, the food bank is located at the DSU kiosk in the AB atrium. The food bank can be accessed Monday to Friday, 9am to 4pm. To donate to the food bank, unopened, non-perishable items can be dropped off at either DSU office at the front desk.